Parents, what do you have wrapped up for your children this holiday season – new phones, tablets, and computers that will give internet access to your children? If you do, we urge you to take some proactive steps to create cyber boundaries to safeguard your family. This includes talking to your kids about safe and responsible smart phone, social media and online activity. The internet is a two-way street: allowing your kids to access the internet means that potentially everyone else using the internet can gain access to your kids. Unfortunately, online games, apps and social media sites can be places where predators and cyber bullies roam, looking for easy targets. Recent events clearly show that the risks of exploitation, cyber-bullying and now, radicalization that your kids face online should not be underestimated. Some experts are advising parents to put safety ahead of privacy and go as far as to know their kids’ passwords and regularly review all of their messages and downloaded material. Regardless of how far you decide to go in monitoring your kids’ “private” online messages and activity, make sure that your kids are aware that predators often pose as teenagers to build relationships and set up face-to-face meetings. Ask your kids to tell you about any incidents of cyber-bullying or extremist content, if something or someone concerns them or appears to threaten them or others, or if they think someone is depressed or suicidal. As a parent, it is up to you to safeguard your child’s online safety. 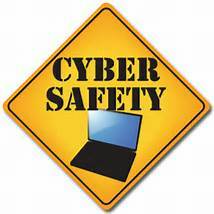 Heintz & Becker urges all parents to watch out for the online safety of their children. If your child has been targeted by a cyber-bully or online predator, we urge you to take appropriate action and call us to discuss your legal rights.